Proactive customer services refers to anticipating issues that customers may encounter and addressing them before customers need to reach out to your customer care, whether it be through phone, e-mail, or live chat. While proactive customer service ideas are not necessarily new, the rise in popularity of the Internet and social media has changed the way that businesses are able to proactively engage customers. 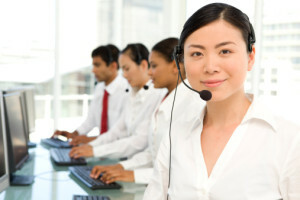 The main goal of companies who employ proactive methods is to connect with customers on issues before they have to reach out to customer care themselves. Research has proven that preemptive services can reduce call volumes by as much as 30%, and increase retention rates by 3% to 5%. 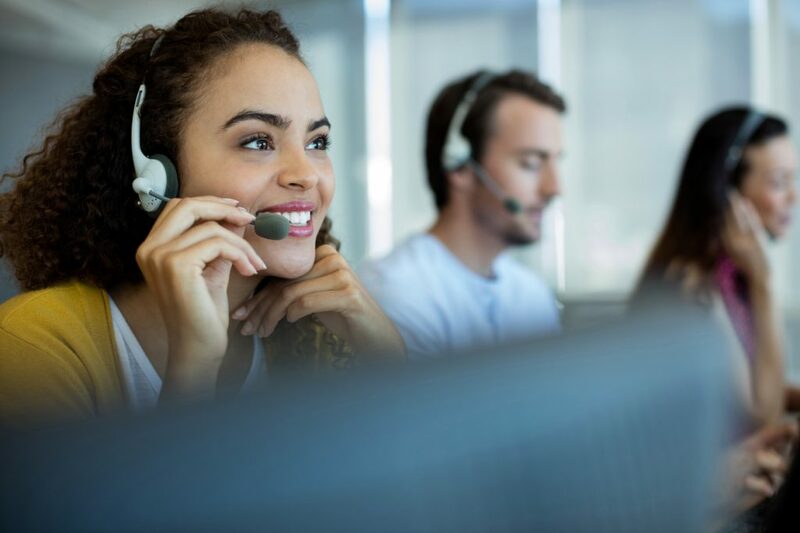 The advantages of proactive customer support are clear, but how do you deliver proactive customer service? There are certain practices you can implement to help make your business more customer-centric, like using social media to your advantage. Keep on reading to find out how to create a mutually beneficial proactive customer experience, and what tools you can use to get there. First and foremost, you need to understand customers in order to give them a proactive experience. Thoroughly understanding their expectations from your company will help you identify areas where you may be lacking and give you an idea of things they might not like, and will complain about. When you can see things from your customers’ perspective, it’ll be much easier for you to foresee issues and work proactively to solve them. Social media is a fantastic way to gain insight about customer sentiments, and engage with those to leave comments on your company’s pages. With social media, you’ll be able to see both positive and negative reactions to your brand, allowing you to assess what you’re doing well, and which areas could use some improvement. Customer satisfaction surveys are a great example of proactive customer service. You can use them to gather information on what they like about your business, and what they expect from you in the future—more specifically, you can gain insight into what type of promotional offers would encourage them to buy more. By conducting customer satisfaction surveys, you can also find out what aspects frustrate them, and use your resources to focus on areas that need improvement. By using surveys to collect feedback, you’ll be taking the first step in being proactive, and won’t have to wait for customers to call you or send you an e-mail. Remain one step ahead of the game by using surveys to be proactive in your customer support efforts. Real customer service analytics and reporting is an important part of making proactive customer service accountable. Using the numbers surrounding key performance indicators like demand volumes, issue categorization, and response rates will help you generate an accurate picture of your brand, and your team’s ability to meet expectations. Using these analytics, you’ll be able to identify areas that could potentially pose a problem in the future, and work proactively to prevent them. You can also use them as a method to measure your progress once you being to employ proactive customer service strategies, and keep track of your improvements in customer retention, sales, and more. Most people, when they hear the term “outbound calls,” automatically think about making cold calls rather than sending e-mail newsletters. However, outbound calls can be more targeted and ultimately more helpful—companies are able to reach out to customers to relay important information, like system updates or troubleshooting instructions, that can help them avoid common issues. Keeping consumers updated about upcoming changes or other important information can reduce the amount of traffic you get to your inbound customer care channels, and foster a close relationship with them. Live chats are common customer care channels that allow consumers to reach out to representatives when they need help but would rather not spend time waiting to speak to someone on the phone. While live chats are helpful in reactive customer care situations, companies can use them to their advantage when aiming to provide a proactive experience. For example, if a customer is spending too much time on a site, or lingering at the checkout page without actually going through with the transaction, a representative can send the customer an invitation to live chat. This way, they can help talk them through any issues they may be having, and encourage them to complete their purchase. It’s important to reward customers in order to win their trust and loyalty, but it’s essential to know when to offer rewards to them. For example, patrons should be given a special offer or promotion after they’ve been a customer for a certain period of time, on their birthday, or during the holiday season. Offering periodic rewards will let them know that you appreciate their business, and haven’t forgotten about them. Companies can also issue vouchers as goodwill gestures in special situations, like when a service case becomes particularly complicated, or if there’s been a billing or delivery error. In order for a proactive approach to work, it has to be built into the culture at your company—it can’t just be something you use when it’s convenient, or when you remember. It’s important to have the entire team on board with implementing proactive strategies, including leadership. When everyone’s on the same page and has the same goal in mind, it’ll be easy to maintain a proactive customer service department, and achieve customer centricity within the company. When you hire 3C Contact Services, you ensure your customers have a positive customer service experience every time, and trust us with all your customer care needs. From help desk services, customer retention, live chat services, e-mail management, and more, we can help you manage all your customer support services. Our trained representatives will provide a streamlined experience for your clients to ensure they always choose your company over the competition. Contact us today to learn more about how we can help improve your customer support services and introduce a sense of consistency.